EDMONTON - Alberta's auditor general is going to take a deeper look at the safety of oil and natural gas pipelines in the province. Merwan Saher said his audit will examine pipeline inspections and will look at how well companies are following government pipeline regulations and how well provincial regulations are being enforced. "I wish to inform you that we will initiate such an audit as soon as reasonably possible," Saher wrote in letters to Alberta's opposition Wildrose and New Democrats, which had requested the review. Last month more than 50 public interest groups called for such an investigation after a government-commissioned report said Alberta has favourable pipeline rules. Opposition parties and environmental groups said that review was too narrow because it did not look into the effectiveness of enforcement or at the cause of specific spills. The province commissioned its report last summer after a string of oil spills, including a 475,000-litre leak from a Plains Midstream Canada pipeline in Central Alberta in June 2012. A pipeline owned by the same company had spilled 4.5 million litres of oil in northwestern Alberta in April 2011. Earlier this year, the province slapped Plains with environmental charges in relation to that event. Wildrose energy critic Jason Hale welcomed the auditor general's decision. "Given how important pipelines are to Alberta's long-term economic prosperity, it is critical we prove we are leading the way in enforcing pipeline regulations and transporting our energy products in the safest and most secure way possible," Hale said Thursday. New Democrat Rachel Notley called Saher's decision to audit pipeline safety a big victory for Albertans. "This independent review will help ensure we move to better protect the environment and signal to the world that Alberta is serious about developing our abundant natural resources in a sustainable and responsible manner," she said. Pipeline spills continued in the spring of this year. An estimated 9.5 million litres of waste water leaked in northwestern Alberta from a pipeline owned by U.S. company Apache Corp. As well, a Penn West pipeline spilled 5,000 litres of crude and up to 600,000 litres of waste water. 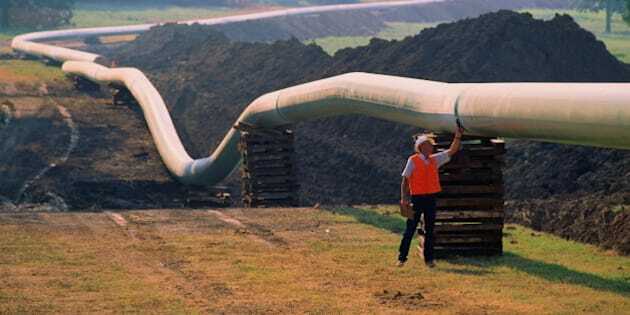 And an Enbridge Inc. pipeline near Fort McMurray, Alta., leaked about 200,000 litres. Jennifer Grant of the Pembina Institute, an environmental think-tank, said the audit could restore people's confidence in Alberta's ability to regulate pipelines and their associated risks. "With 400,000 kilometres of pipelines criss-crossing the province, and an average of two crude spills a day for the past 37 years, ensuring the integrity and safety of Alberta's pipeline network is absolutely critical," she said. A coalition of environmental groups, landowners and First Nations that have been pushing for a more comprehensive review of Alberta's pipelines were also celebrating. Don Bester of the Alberta Surface Rights Group said Saher's announcement shows what can happen when people work together. "Today is a great day," he said. "We have always said that Albertans deserve a real pipeline safety review."